Tillerson: "Pakistan must adopt a different approach"
Following Trump's Afghanistan speech, Secretary of State Rex Tillerson told reporters Tuesday that Pakistan will play an important role in initiating the negotiation process between the U.S. and Afghanistan's Taliban, but noted that the country must first "adopt a different approach" to easing tension in the region. 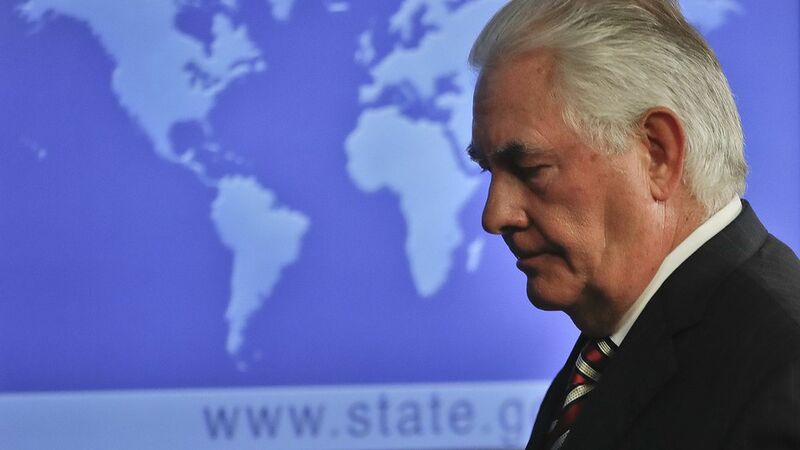 "There's been an erosion in trust because we have witnessed terrorist organizations being given safe haven inside of Pakistan to plan and carry out attacks against U.S. servicemen, U.S. officials, disrupting peace efforts inside of Afghanistan," said Tillerson. "Pakistan must adopt a different approach, and we are ready to work with them to help them protect themselves against these terrorist organizations ... We are going to be conditioning our support for Pakistan and our relationship with them on them delivering results in this area." Tillerson said it's up to the Afghanistan people to decide how to govern themselves, but as long as they don't offer a refuge to terrorists. Message to the Taliban: "You will not win a battlefield victory. We may not win one, but neither will you." Tillerson said North Korea's recent "restraint" in missile testing since the adoption of the U.N. Security Council resolution has "perhaps" created a pathway for potential dialogue between Washington and Pyongyang.